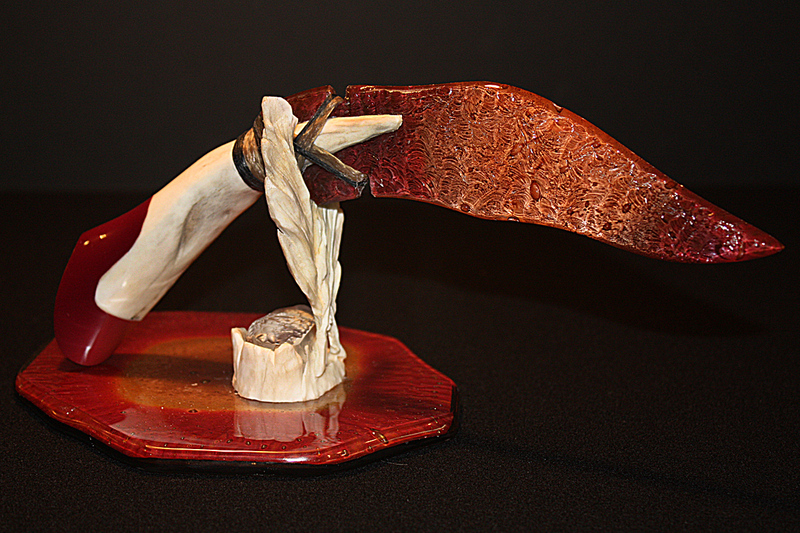 No collection would be complete without this awesome knife sculpture. 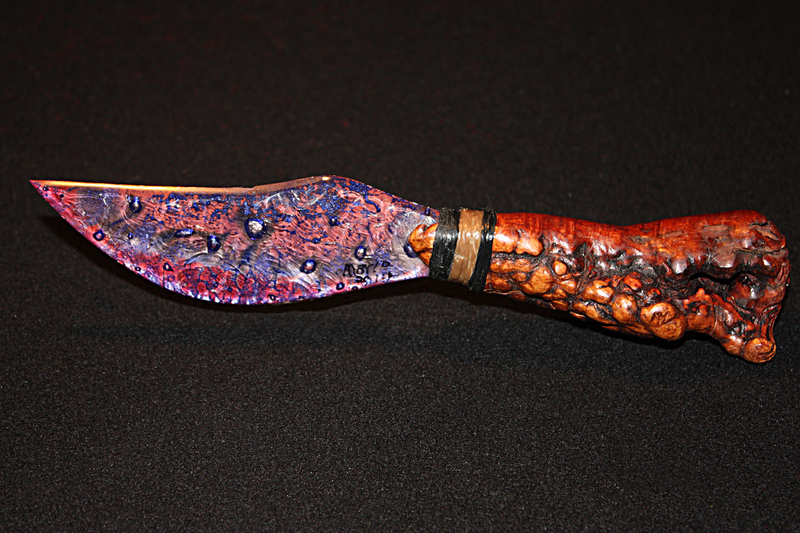 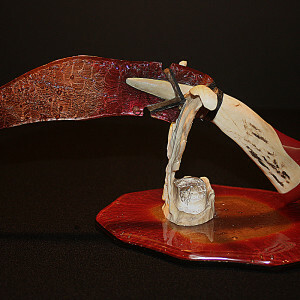 Red blown glass was shaped and meticulously hand knapped while the edge is polished for a 7″ knife blade like no other. 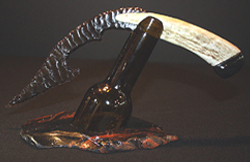 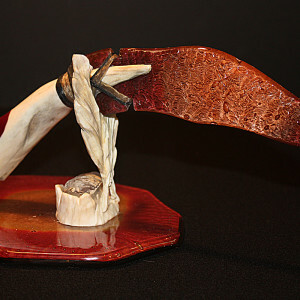 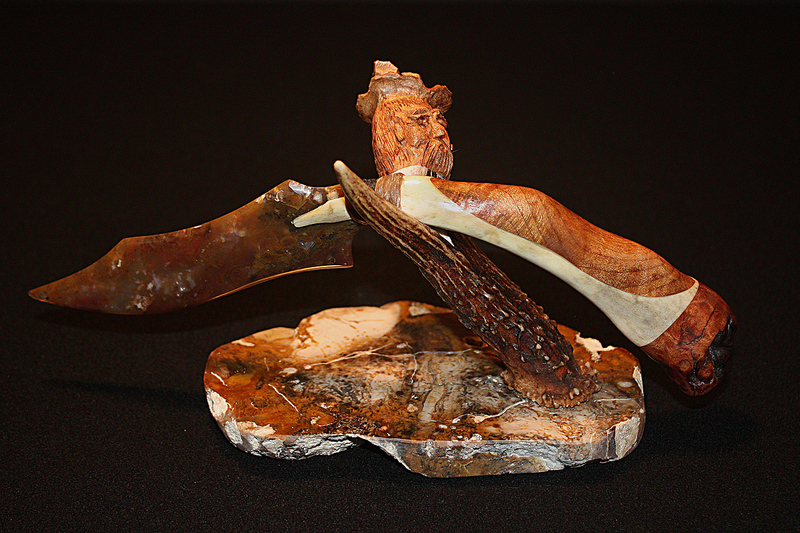 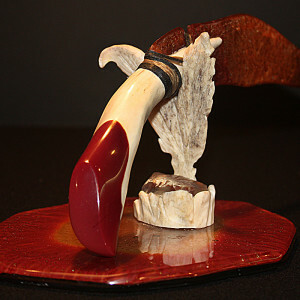 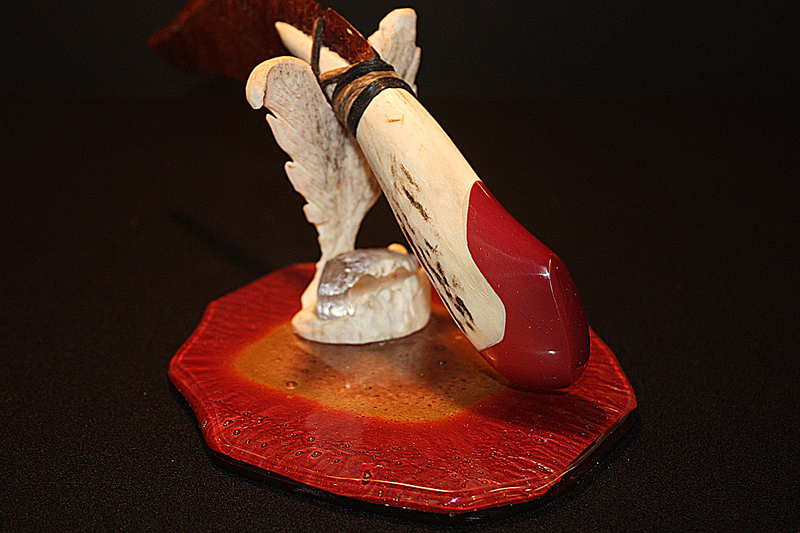 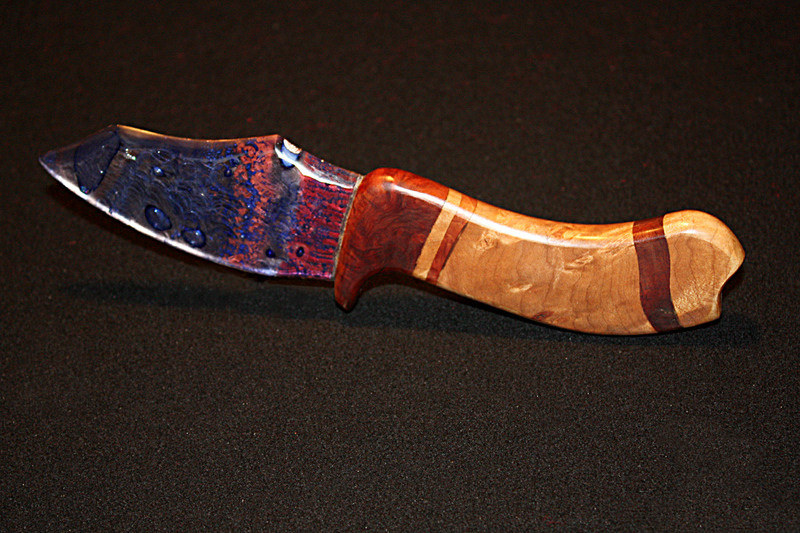 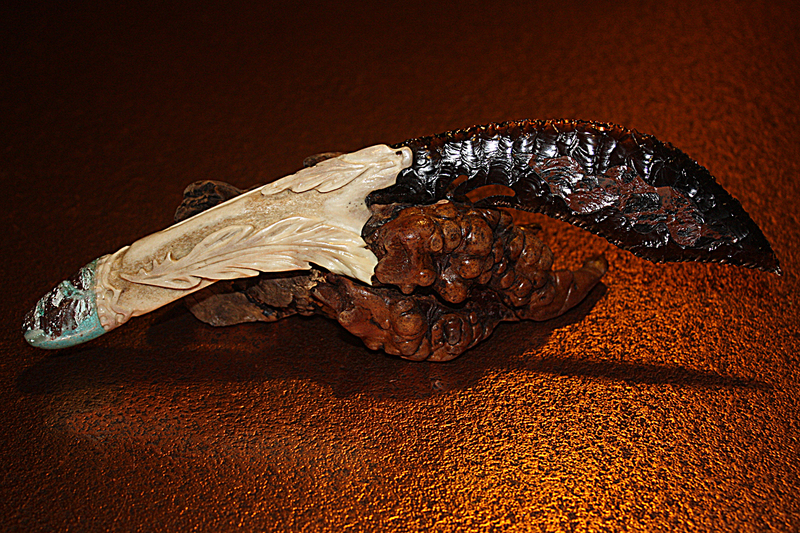 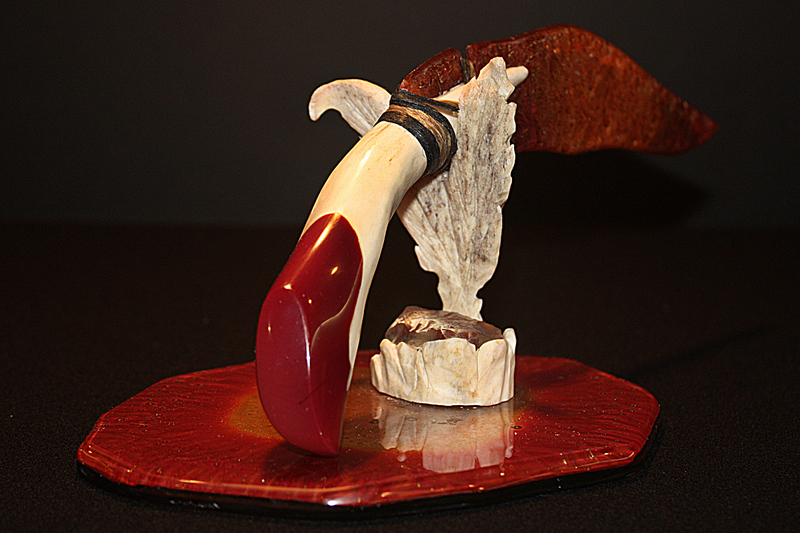 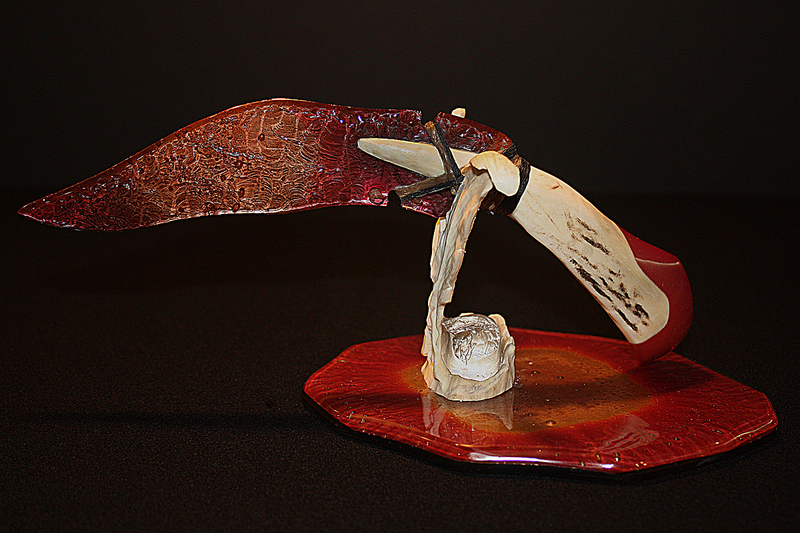 The 6″ handle is elk bone and fused with red slag glass, making the overall knife length 11″. 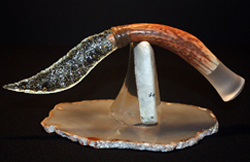 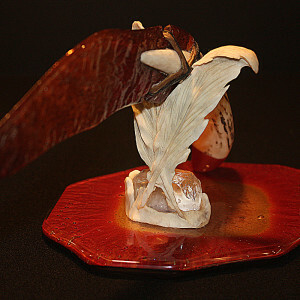 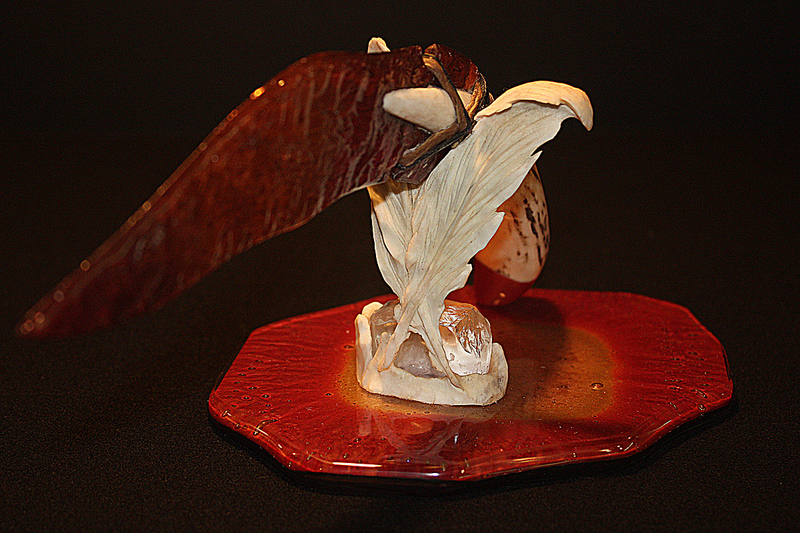 The deer bone stand is carved in a feather design and wraps around natural quartz crystal at the base. 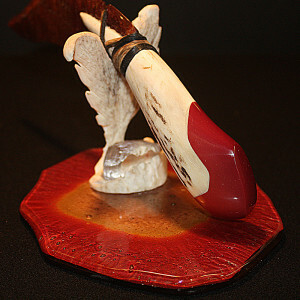 All sits atop a red blown glass base for a contemporary masteriece worthy of any art collection. 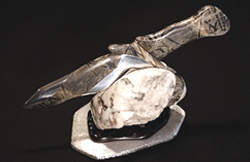 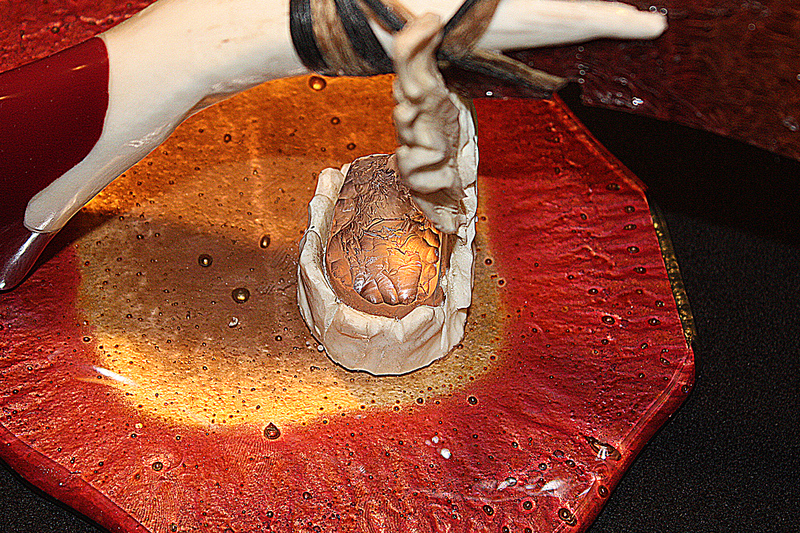 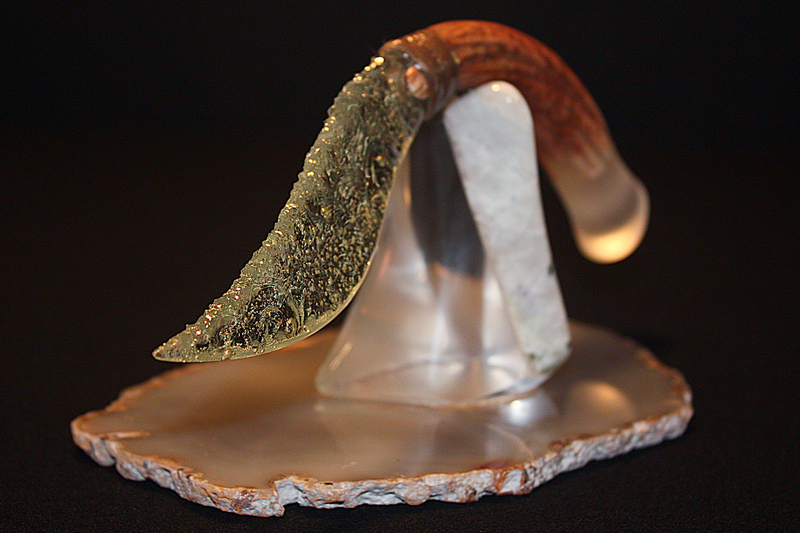 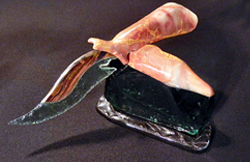 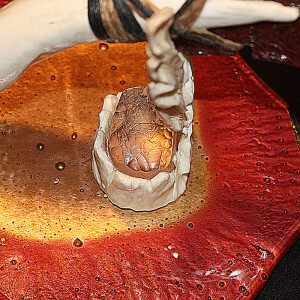 The knife sculpture is signed by the artist and includes a certificate of authenticity.